If anyone is qualified to be the president of the super-sustainable Bullitt Foundation, it’s Denis Hayes. On April 22, 1970, he organized the first Earth Day, an environmental protection event that is now celebrated in over 190 countries. Hayes was also the head of the Solar Energy Research Institution during the Carter administration, was named Time Magazine’s Hero of the Planet in 1999, and has received a national Jefferson Awards Medal for Outstanding Public Service. Hayes has been with the Bullitt Foundation since 1992. The Bullitt Foundation was established in 1952 by Seattle broadcasting pioneer and philanthropist Dorothy S. Bullitt. She founded the King Broadcasting Company (known today as KING-5 and various other affiliates) and was the first woman in the United States to own and manage a major TV station. 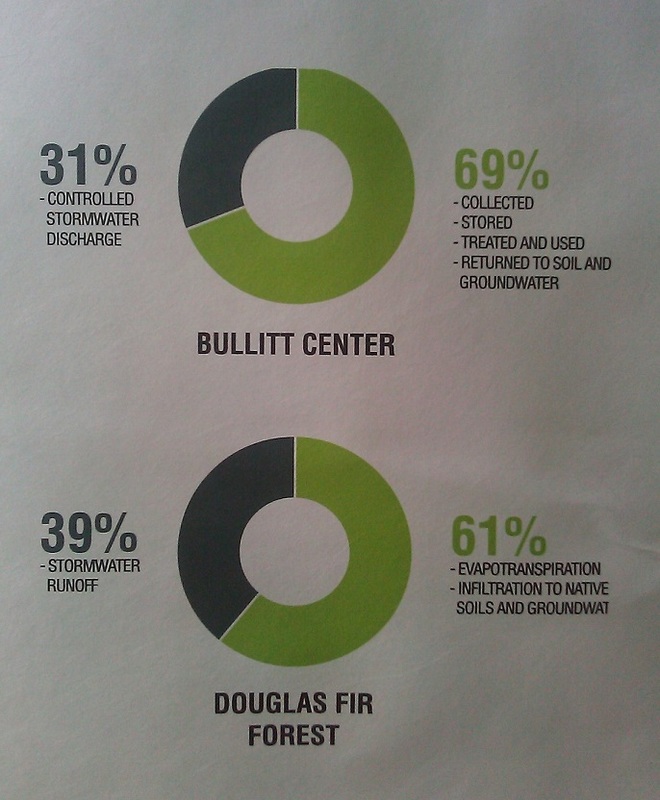 After Bullitt’s death in 1989, the Foundation inherited 28% of King Broadcasting’s stock and began an ambitious expansion “to safeguard the natural environment by promoting responsible human activities and sustainable communities in the Pacific Northwest.” The Foundation began planning and construction on the new Bullitt Center in 2009, designed to fulfill the rigorous requirements of the Living Building Challenge. 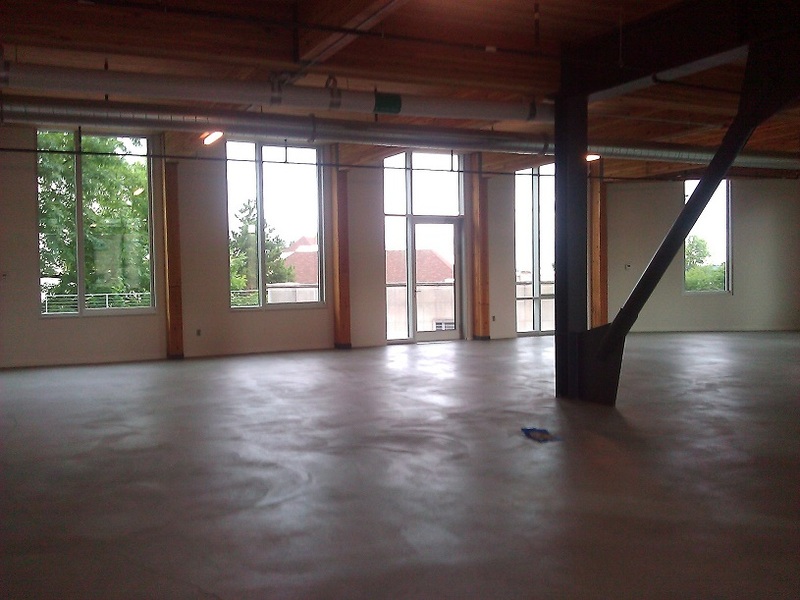 The Bullitt Center was officially opened in Seattle’s Capitol Hill neighborhood on Earth Day 2013. The six-story, 52,000 square foot building is projected to have a 250 year lifespan. “If this project is still a stand-alone example of green building in 10 years, we have failed,” Hayes said. 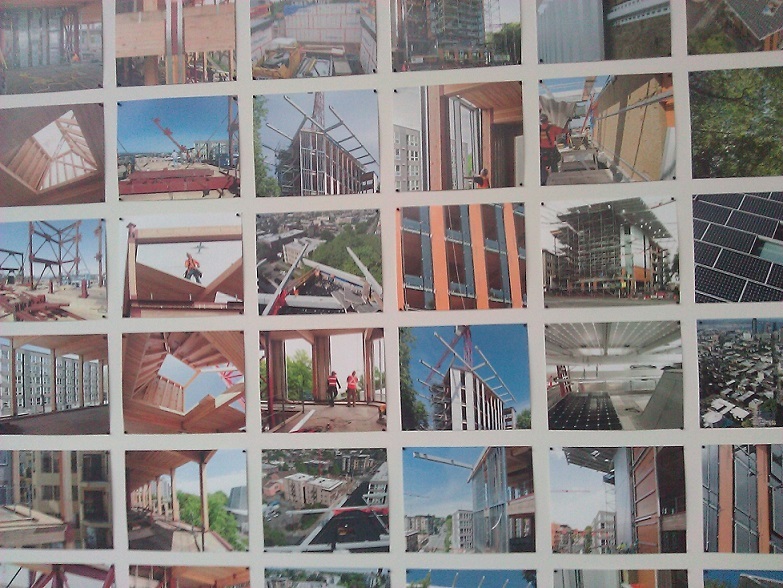 Once fully functioning, the Bullitt Center will be energy and carbon neutral. A large photovoltaic panel extends over Madison Street that will provide all of the annual electricity the building needs; although the building will be hooked up to the city’s electrical grid due to Seattle’s winter cloud cover, the Center will “sell back” all excess energy produced to the city at the end of the year. 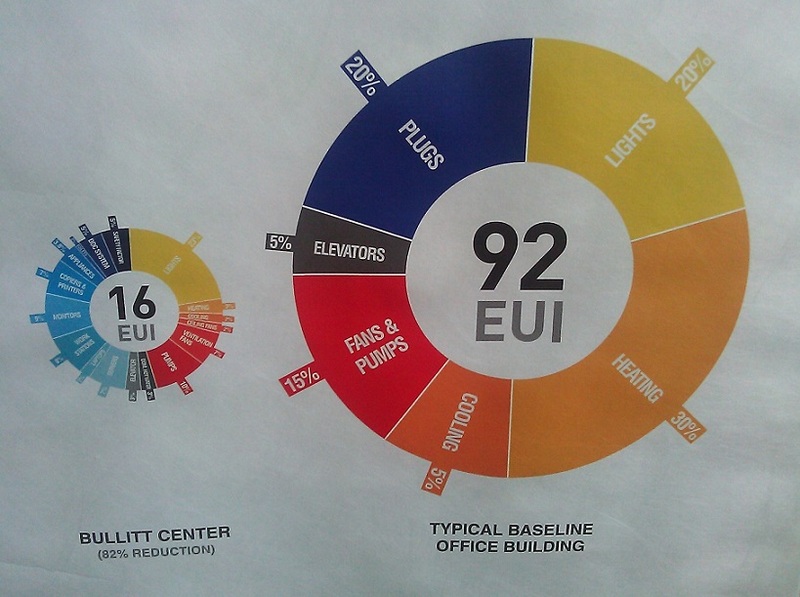 The Bullitt Center’s overall energy consumption will be 1/3 of a typical commercial building of comparable size. In order to pave the way to Living Building Certification, construction had to adhere to strict requirements. 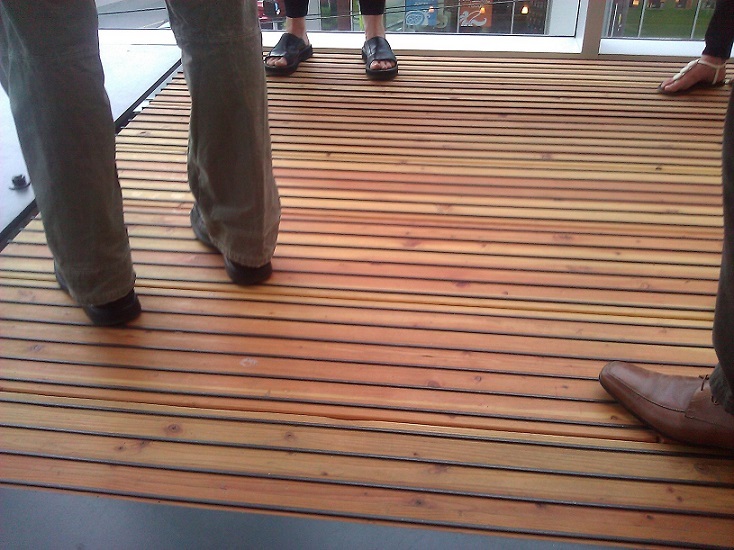 All wood was certified by the Forest Stewardship Council, the building materials needed to be free of some 360 toxic chemicals, and the Bullitt Center established itself as an independent water system outside of the City of Seattle (municipal water is treated with chlorine while the Center uses UV light purification). 26 geothermal wells were dug 400 feet into the ground and remain at 55°F to provide naturally insulated subterranean air to help heat in the building in the cooler months. 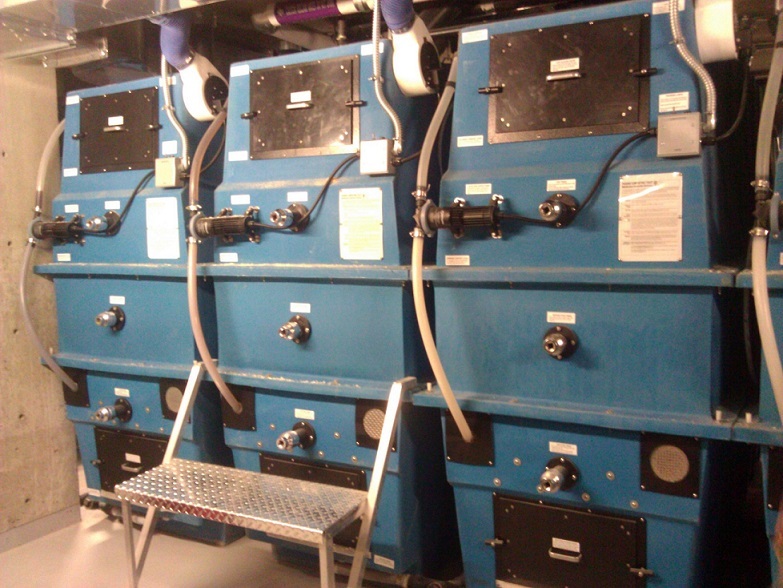 The basement features a 56,000 gallon rainwater collection tank and 10 composting toilets – the largest collection outside of the US Parks Department. 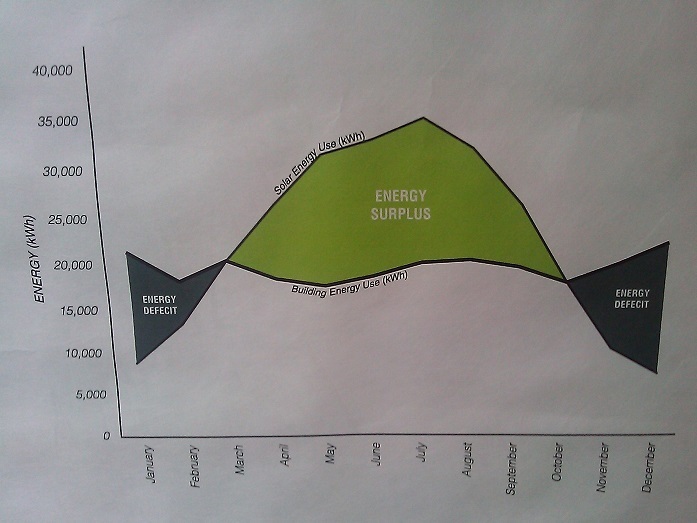 Like the Bertschi School’s new science wing [read the post here], the Bullitt Center must provide a year’s worth of energy records in order to be fully certified as a Living Building. While Bertschi is the first official Living Building in Washington State, the Bullitt Center is much larger – a full office building – the first of its kind and slated to be the “greenest commercial building in the world.“ But before it can live up to that title, the Center must first fill its third floor with occupants before starting to collect the data to submit – it wouldn’t be fair to become certified while a floor remains empty. The floors are designed around a central core, with daylight filtering in from floor-to-ceiling windows. 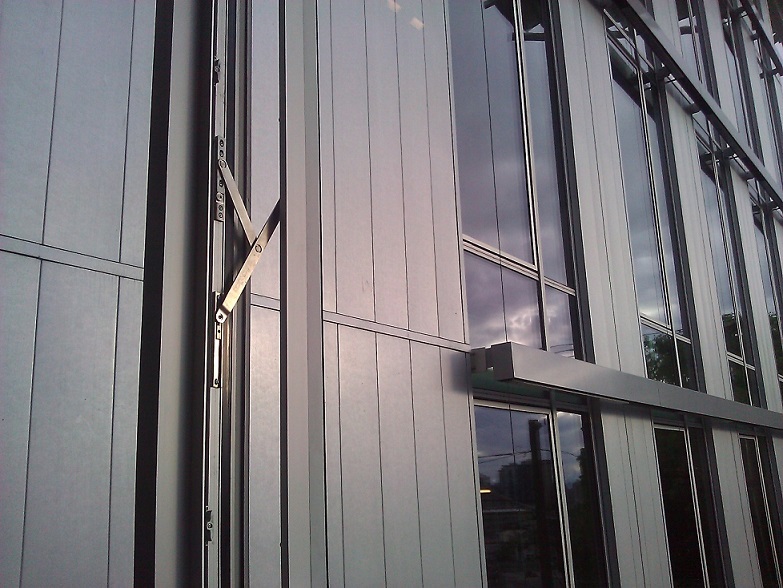 The windows are fully operable and use outside shades to reduce heat from the sun. A sensor will open and close the windows, as well as raise and lower the shades, to keep the room at an optimal efficient and comfortable temperature for tenants. 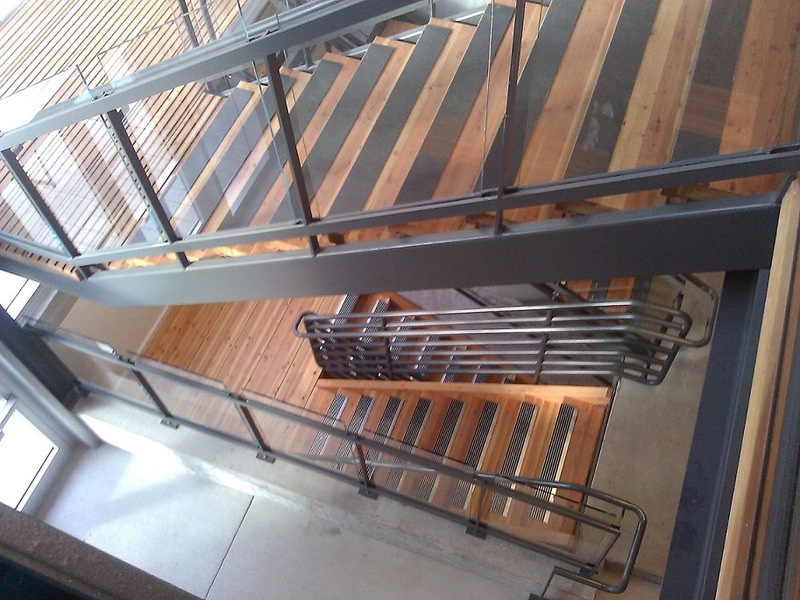 This entry was posted in Expanding the Scope of Now, Photo Gallery, The Seattle Scene and tagged buildings and structures, Bullitt Foundation, Denis Hayes, Earth Day, Living Building Challenge, science!, sustainability. Bookmark the permalink.